As I type the seconds are ticking down until midday on Saturday 24th April, the deadline for submitting your cultural shenanigans in Brum onto the Birmingham Big City Culture Blog. The blog is part of Birmingham’s bid to become the ‘City of Culture’ in 2013. 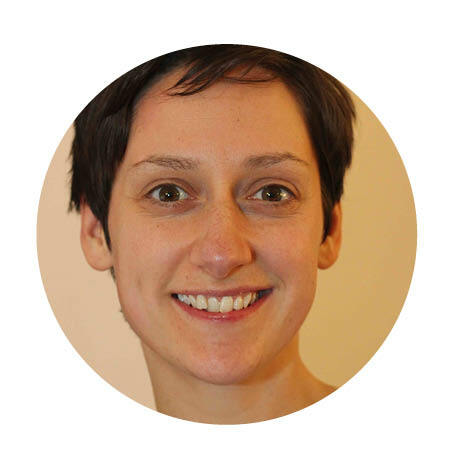 It’s hoped that through allowing people to add their ‘cultural activities’ over a 24 hour period that the website can get a snapshot of the broad range of exciting activities taking place across the city. Reading through the blog so far I’m really enthused by the variety of events, both in the city centre and in local neighbourhoods. It’s really lovely to see children’s events in community libraries next to contemporary art exhibitions at the IKON, next to research projects by students, next to lunchtime chamber music at the CBSO centre. What really strikes me is that we seem to see culture as encompassing all kinds of different activities, many of which would never normally register on the radar of those who spend time hand-wringing over Birmingham’s lack of culture. The blog is incredibly refreshing, and really highlights the passion and pride we have about what happens in our city. So, in the spirit of the blog, and not wanting to fall into the stereotype of the unassuming Brummie, here’s my contribution on what I got up to yesterday! For more information on the bid you can go to the bid’s website or follow them on Twitter. One of the reasons I decided to make films within the community was a strong belief that we need to be proactive in recording stories that are important to us. You know, the things that don’t make the history books. Or the source material in history text books which provides a footnote to ‘the bigger picture’. The fact is, that our common history and heritage is a sum of all of our personal histories – within our families, our community and our locality. 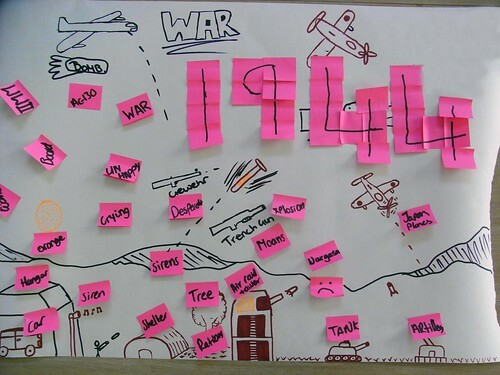 So it’s with a huge amount of excitement that I’ve entered 2010 with some fantastic oral history projects on the boil. Back in December I spent the day with people who live in and around Kingshurst. Part of the morning was spent interviewing pupils from Kingshurst School. The rest of the day I had the privilege to run a workshop with some of Kingshurst’s older residents. I call it a privilege as it really felt special to indulge in chatting with them about their memories of the area and its development over the past six decades. We were lucky enough to be able to use a selection of photos collated by local resident Stan Tarrant to provoke some really interesting discussion. The result of the workshop is a lovely selection of interviews, illustrated by Stan’s photos of the area over the years. We’ll be launching the film sometime in March, so watch this space for an update on that. Also in December, the Friends of Moseley Road Baths discovered that our bid to the Heritage Lottery Fund has been successful. 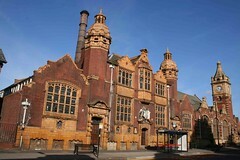 This will entail, amongst other things, a series of workshops in schools over the course of the next three years, where pupils will have the opportunity to plan, film and edit oral history interviews with people who have memories of swimming, working, socialising or bathing at Moseley Road Baths. For more details on the project take a look at our blog – we’ll be announcing details of next week’s launch event soon. As if that’s not enough to keep me on my toes, I’m going to be working with pupils from two schools to produce a series of films for this year’s Lichfield Festival. The pupils will have opportunity to interview veterans of the Second World War and to visit the National Memorial Arboretum at Alrewas. They will also be actively encouraged to explore their own family’s histories. I’ll be keeping you updated on our progress and letting you know where you can see our finished films! 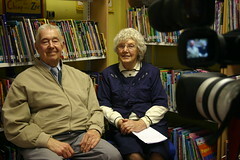 Of all the projects I’ve worked on I think the filming I have done for Yardley Libraries has been one of the most enjoyable. I have fond memories of going along to my local community library with my Mum as a kid, and it’s wonderful to see kids getting as much enjoyment as I did when browsing the shelves. 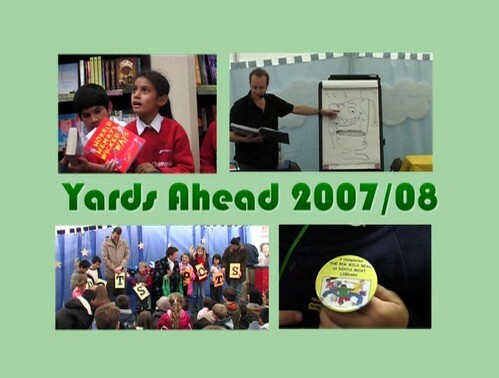 Yardley Libraries are doing some really innovative stuff to ensure that families get the most from their visits. I’ve eventually got round to putting the films of these projects online so why not check them out?